Social networks, just like any other thing, are surrounded by some false myths. Some state that social networks are selling points, or that anybody can manage a brand’s networks. These are just a couple of examples of myths hovering over social media. 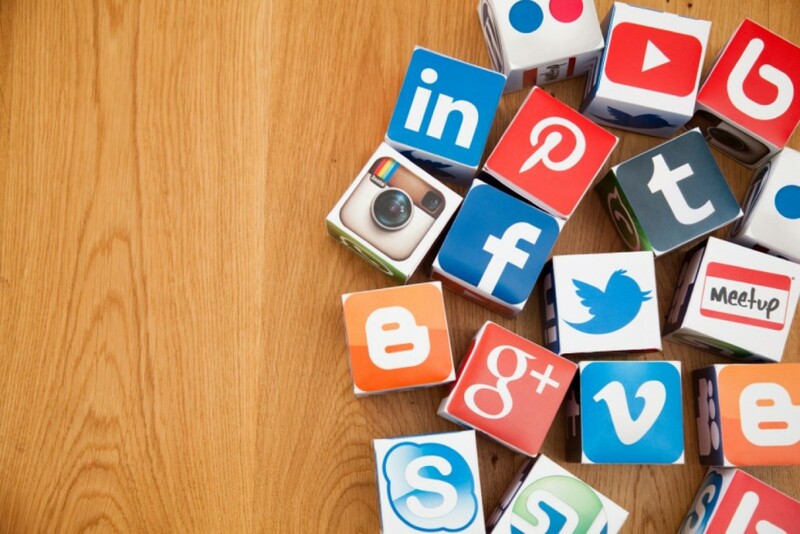 Let’s have a look now at 5 common misconceptions about social networks. As we have said once and again, social networks were not conceived as a direct selling point. They can be used to promote products and services, and they can even influence a purchase decision, but they are not meant to be converted into selling points. This is not to say that we cannot make some money using social networks. If you do not have a clear strategy and well defined goals, being present in a social network will not add any value to users. It can even damage a brand’s image. If you are not going to do it well, you’d better not go social. When you do not have enough resources for this task, a good strategy is to focus all your efforts on just one or two social networks. It is not necessary to be present on all the social networks available, although it is a good idea to create a username so that you can keep it in case you will use that network in the future. 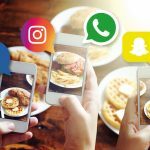 Despite the extraordinary growth of the different social platforms and the insistence of TV on this matter, the percentage of people using social networks is still low. 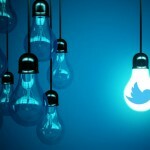 According to the latest study by We Are Social, only 31% of the world’s population are active users of social networks. This means that almost 70% of people do not use Facebook, Twitter or WhatsApp. 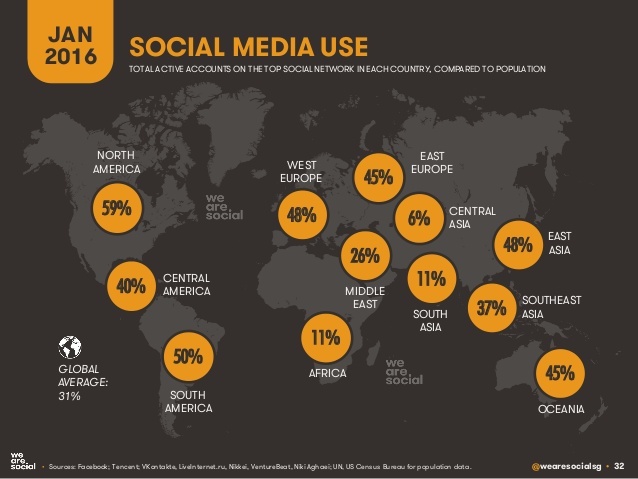 If we analyse the data by continent, we can see that 51% of Americans and 47% of Europeans use social networks, while in Asia the figure drops to 29%, leaving Africa with a mere 11% of penetration. As you can see, there is still a long way to go in social media. Regular users of a social network have some experience and skills that are honed through practice, but it is also necessary to have a plan based on the company’s marketing strategy. Transforming this strategy into communication using social networks demands a set of skills that any given user will not know unless he or she is a specialist trained for the job. This is the typical case of the close relative that manages a company’s social networks. At first glance it might seem like a way to save costs, but in the long run it can end up being costlier than you thought. It is better to delegate this task to professionals with the required qualifications. As you know and will find out, Facebook, Twitter, Instagram or WhatsApp are platforms in constant evolution and change. Social networks are nothing but a new direct communication channel between people or between brands and users. It may be that some of the networks we use today will no longer exist in the future, but this will only happen because there are new and more complete ones to replace them. This explains the progressive evolution and change of the current networks: none wants to lose this sprint race. There is no doomsday, but endless changing. There are many more myths surrounding social networks as well as facts that seem fake, so we will come back with more. In the meantime, tell us about any other you have heard of so that we can add it to the list.